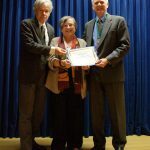 (British Columbia, May 2015) The British Columbia Historical Federation (BCHF) is pleased to announce the winners for the Annual Historical Writing Competition. 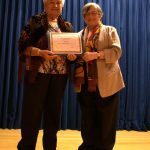 The prizes were awarded on Saturday, May 23, 2015 at British Columbia Historical Federation Conference Awards Banquet at Billy Barker Casino Hotel in Quesnel, BC. Congratulations to all the winners. 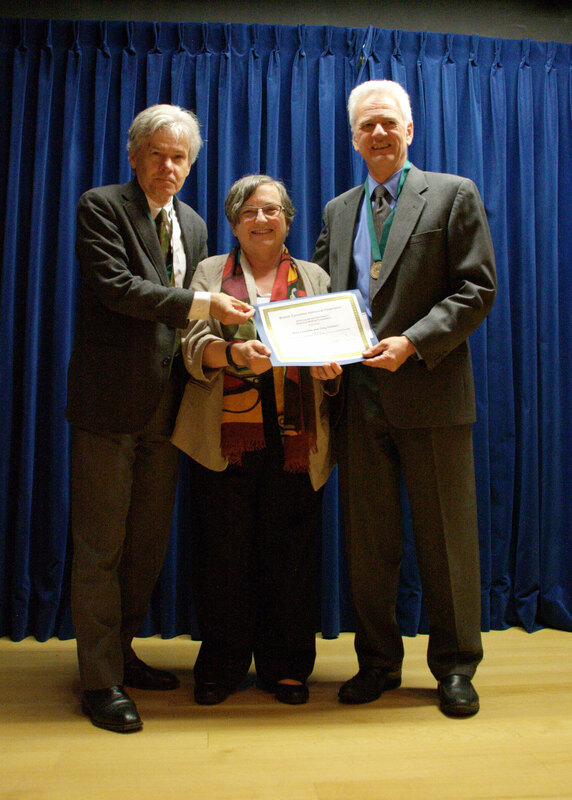 Mark Forsythe and Greg Dickson won first prize for 2014, receiving $2,500 and the Lieutenant-Governor’s Medal for historical writing. It has often been observed that the First World War jolted Canada into nationhood, and as Mark Forsythe and Greg Dickson show in this compelling book, no province participated more eagerly in that transformation or felt the aftershock more harshly than British Columbia. In From the West Coast to the Western Front, Forsythe, host of CBC Radio’s mid-day show BC Almanac, marks the 100th anniversary of World War I by teaming with historian Greg Dickson and the ever resourceful BC Almanac audience to compile a sweeping portrayal of that crucial chapter of BC history. 2nd prize, $1500. Echoes of British Columbia: Voices from the Frontier by Robert Budd (Harbour Publishing). 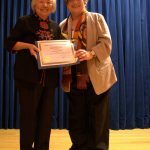 3rd prize, $500. Blood and Sweat Over the Railway Tracks: Chinese Labourers Constructing the Canadian Pacific Railway (1880-1885), by Lily Siewsan Chow (UBC & Chinese Canadian Historical Society of BC). 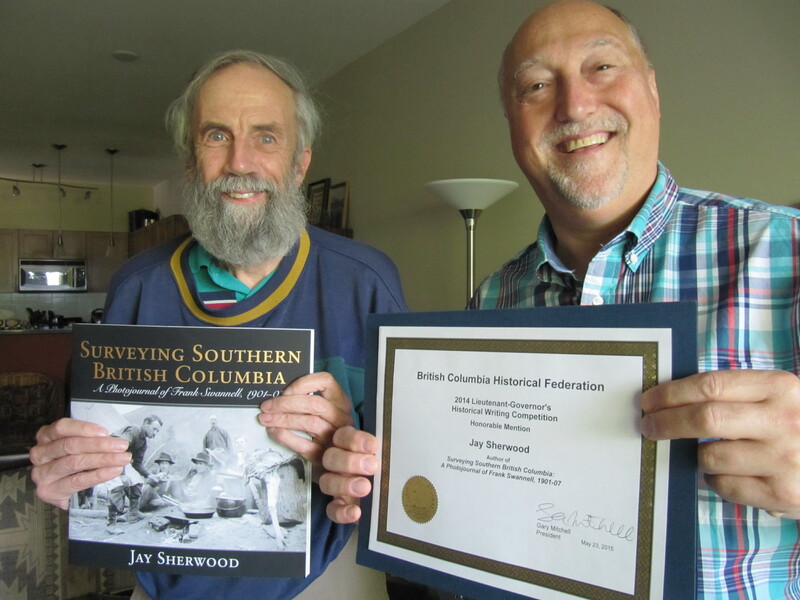 Jay Sherwood receiving his certificate from Maurice Guibord for “Surveying Southern British Columbia: A Photojournal of Frank Swannell, 1901-07”. 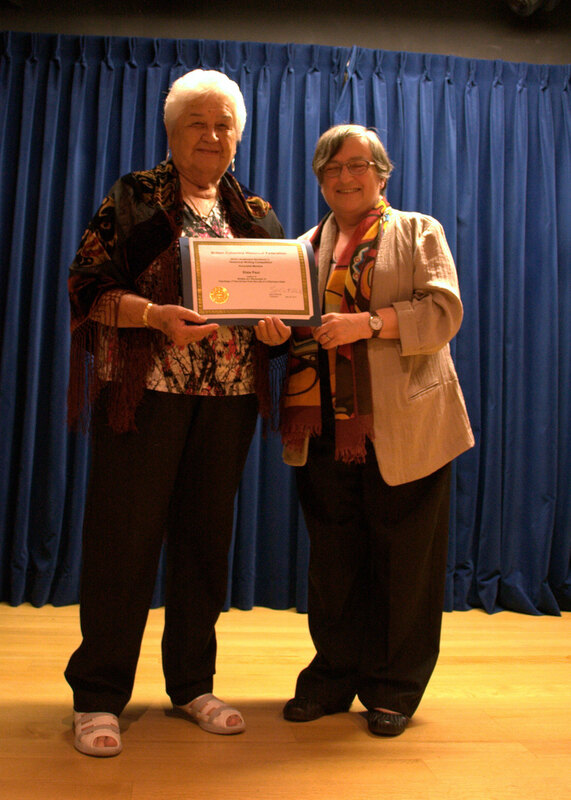 The British Columbia Historical Federation introduced a new award this year, the Community History Award. 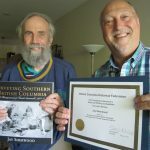 Local and community history often provides the most sought-after information by historians researching a particular area. This is where the trivia and the stories can be found, not to mention the skeletons! 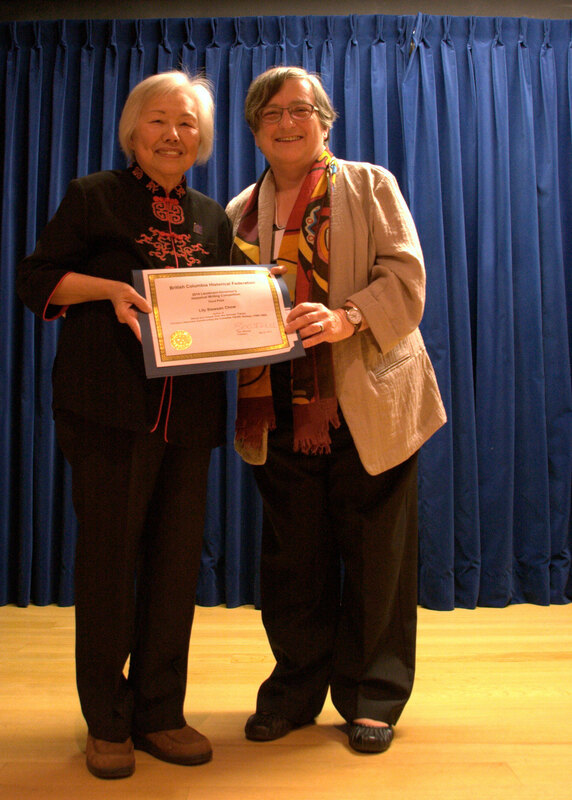 The Community History Award was instituted to ensure these histories are recognized.